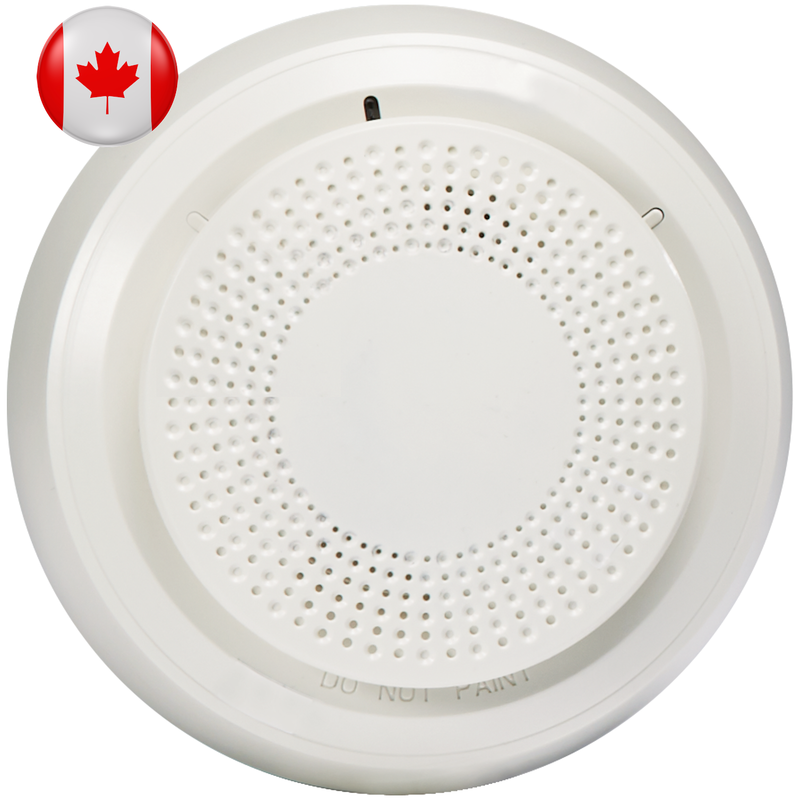 The Honeywell Lyric SiXSMOKE-CN is a wireless smoke detector (for Canada) with mounting hardware, intended for use with the Honeywell Lyric Controller (LCP500-LC) that supports SiX™ series devices. The Lyric SiXSMOKE-CN can be programmed and enrolled into the Lyric Controller in a matter of minutes. Once enrolled, the SiXSMOKE-CN device cannot be used with another security system until it is removed from the current controller. Each device has a unique MAC number located on the sticker on the unit. Boasting a 300-foot transmission range, you may place your smoke detector in those far away extra bedrooms from the Lyric Controller. With a 300° detection patter, the SiXSMOKE-CN is designed to sense even low smoke conditions and is temperature sensing capable. The SiXSMOKE-CN has tamper protection, to prevent anyone from deliberately tampering with the enclosure. There are LED indicators on the smoke detector for visual sensor notifications.